Good news for those of you attending this weekend seminar on tenchijin in Paris. 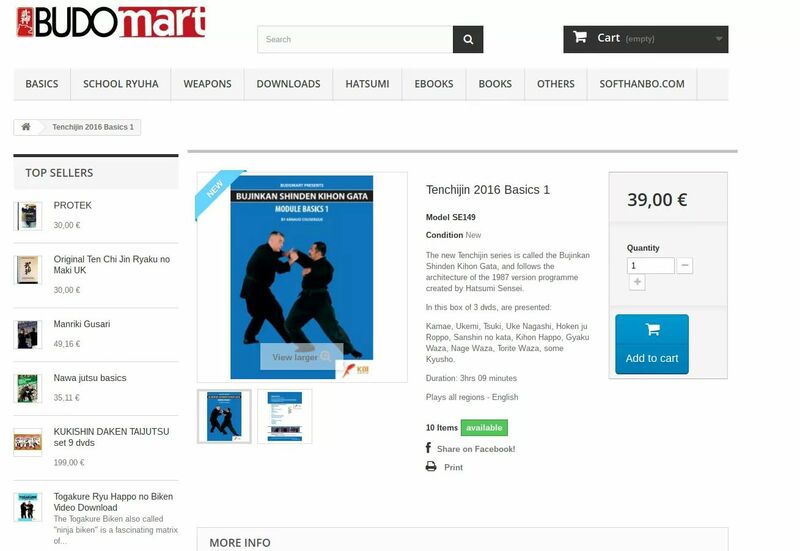 The new Tenchijin is now available in DVD format at http://www.budomart.com . We have created 9 new modules in the dvd section. This new Tenchijin is the original Bujinkan Shinden Kihon Gata of 1987. I redesigned the structure by modules instead of Kyu so that we have a better understanding of the basics we need to learn. Next Post What is the correct path?